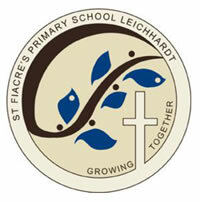 St Fiacre's is an inner-city systemic school located in Leichhardt. It was first established by the sisters of St Joseph in 1886, in the sanctuary of the present church. Less than ten years later, a separate school building was constructed and so began a long tradition of Catholic Education. Our school is small and intimate with less than 150 students from Kindergarten to Year 6. Children, teachers and parents foster friendly relationships, where we know and support one another in a warm, open environment. Our Catholic beliefs and values permeate our school and celebrations and liturgies are an important part of our culture. Our comprehensive curriculum is well balanced with provision of quality teaching/learning programs which cover the Religious Education Curriculum as well as the Key Learning Areas mandated by the New South Wales Board of Studies. Teaching Programs are carefully planned and differentiated to meet the diverse needs of all students. We also provide a range of specialist programs and services to further meet individual student needs. Our school and parish are committed to working in partnership with parents to nurture and challenge all our students, as they grow in the Catholic faith and develop their full potential. This is reflected in our school motto ‘Growing Together In Faith, Learning and Care”. Our teachers are professional, highly qualified and extremely dedicated with the interests of the children at heart. We are extremely proud of our tradition, our cultural diversity and of course, our children. 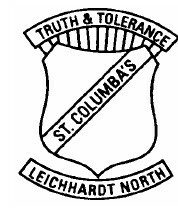 St. Columba’s is a Catholic Primary School for boys and girls, Kinder to Year 6. Our school has a proud tradition of educating children, for we were established as a parish primary school in 1898 by the Sisters of St. Joseph. Over a century later we continue to keep alive the Gospel message, provide a quality education and develop in our students a love of learning. St. Columba’s offers a pleasant learning environment with air-conditioned classrooms, within spacious and attractive grounds. Apart from educating our students in the faith, we place a strong emphasis on literacy, numeracy, information skills and the development of creative and sporting programs. Specialist teachers offer programs in English as a Second Language, Special Needs, Gifted Education, Reading Support, Instrumental Music and Physical Education. All classrooms are networked and have internet and email access.